Soy oil or soybean oil is a vegetable oil extracted from the seeds of the soybean. It is one of the most widely consumed cooking oils accounting for highest share of 30% in the vegetable oils in 2012, according to Foreign Agricultural Service 2013. Palm oil is an edible vegetable oil derived from the reddish pulp of the fruit of the oil palms. Palm oil has major application in food industry as cooking/frying oil, shortenings, margarine, and confectionary fats. Furthermore, palm oil has applications in agrochemicals, animal feed, motor oil, and others. Palm oil has major applications as a feedstock for biofuels and fertilizers, owing to the depleting fossil fuels and increasing awareness about environmental protection. This is expected to increase the demand for palm oil in biofuels during the forecast period. Feedstuff segment is expected to show a significant growth in the global soy oil & palm oil market in 2018. This is attributed to increasing livestock population. Healthy feedstuff also help to enhance the animal growth and yield, which benefit the meat, poultry, dairy and wool industry. For instance, as per Foreign Agriculture Service, global beef production was registered at 60.5 million tons in 2016, and is expected to reach 63.6 million tons by 2019. 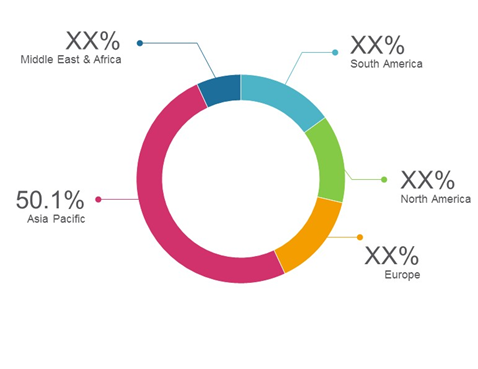 Conventional source segment held significant market share in global soy oil & palm oil market in 2018, owing to increasing industrial application of soy and palm oil. For instance, growing biofuel industry is expected to propel demand for conventional source of soy & palm oil, as they are one of the prime feedstock in biofuel production. Unlike conventional source, organic source extracts only up to 65% of oil from the oil seeds, which decreases the yield and increases the oil cost. High cost and impact of climate change can affect the yield of crops, which can adversely impact the organic soy and palm oil market. Asia Pacific held significant market share in the global soy oil & palm oil market in 2017, owing to increasing food and biofuel industry. For instance, according to Asia Biomass Energy Corporation, Malaysian Government has been making efforts to promote production and use of biodiesel made from palm oil to lessen the dependence on crude oil imports and to stabilize palm oil price, as well as to increase export of biofuels. The global soy oil market was valued at US$ 38,406.2 million in 2017, and is anticipated to register a CAGR of 4.8% in terms of revenue, during the forecast period (2018– 2026), to reach US$ 57,300.2 million by 2026. The global palm oil market was valued at US$ 40,265.8 million in 2017, and is anticipated to register a CAGR of 7.2% in terms of revenue, during the forecast period (2018– 2026), to reach US$ 73,953.2 million by 2026. 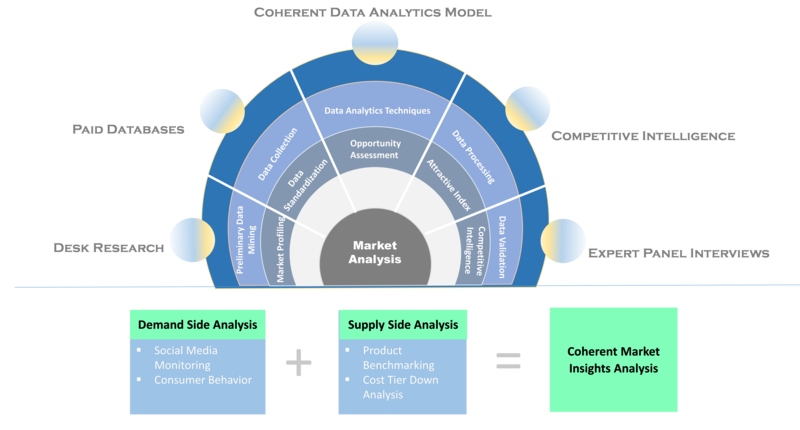 Players operating in the global soy oil & palm oil market are adopting various growth strategies such as merger and acquisitions in order to maintain leading position in the market. For instance, in August 2018, Archer Daniels Midland Company announced an agreement to purchase certain assets of Brazil-based Algar Agro, including oilseeds processing facilities in Uberlândia in the state of Minas Gerais and Porto Franco in Maranhão. This will enhance the company’s position in important Brazilian meal and bottled oil markets. 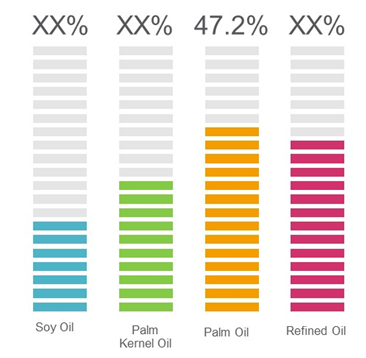 Major players operating in the global soy oil & palm oil market include, Cargill, Inc., PT Astra Agro Lestari Tbk, Wilmar International Ltd, Malaysian Palm Oil Council (MPOC), Carotino Sdn Bhd, Yee Lee Corporation Bhd, IOI Corporation Berhad, Archer Daniels Midland Company, DowDuPont Inc., and Guangxi Long'an Ruifeng Induetrial & Trading Co., Ltd.
Soy oil or soybean oil is a vegetable oil extracted from the seeds of the soybean. Palm oil is an edible vegetable oil derived from the reddish pulp of the fruit of the oil palms. Food industry is the major consumer of soy oil. Apart from food industry, soy oil has application in resin & plastic, biofuels, paint & varnish, production of fatty acids, and other non-food uses such as drying oil. Palm oil segment is gaining significant traction in the market, owing to increasing demand for palm oil in food industry. Palm oil has major application in food industry as cooking/frying oil, shortenings, margarine, and confectionary fats. Asia Pacific held a significant market share in 2017. The production of soy oil and palm oil is expected to increase over the forecast period, attributed to growing food and biofuel industry. For instance, from September 2018, Indonesia has made compulsory palm oil derived biofuel blend in all vehicles and heavy machinery. Other countries such as China, Japan, India, Australia, New Zealand, and Malaysia are also drafting policies for biofuel mix in vehicle. Key companies covered as a part of this study includes, Cargill, Inc., PT Astra Agro Lestari Tbk, Wilmar International Ltd, Malaysian Palm Oil Council (MPOC), Carotino Sdn Bhd, Yee Lee Corporation Bhd, IOI Corporation Berhad, Archer Daniels Midland Company, DowDuPont Inc., Guangxi Long'an Ruifeng Induetrial & Trading Co., Ltd among others. Guangxi Long'an Ruifeng Induetrial & Trading Co.
* Browse 158 market data tables* on "Soy Oil & Palm Oil Market” - Global forecast to 2026.